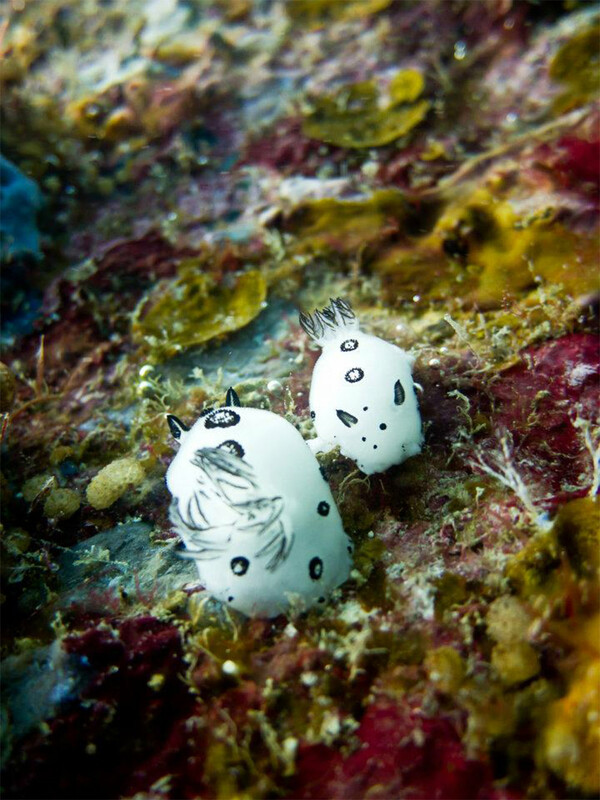 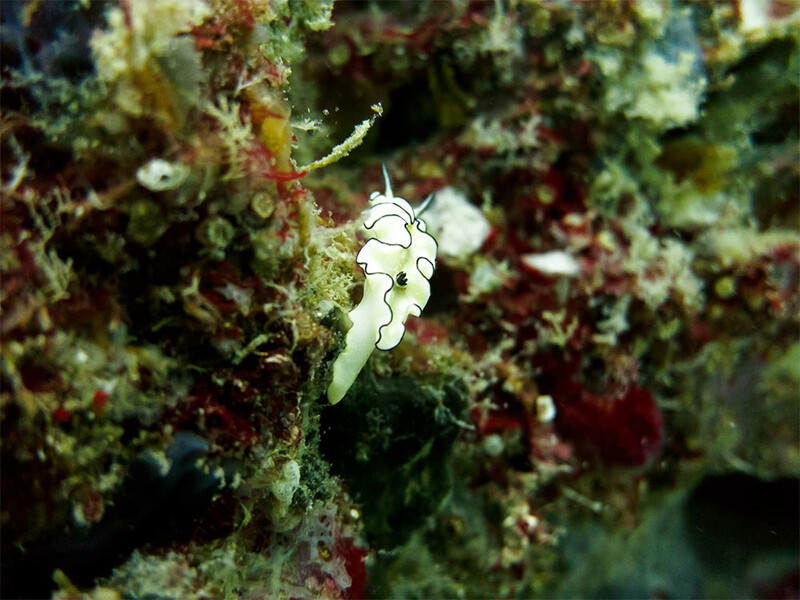 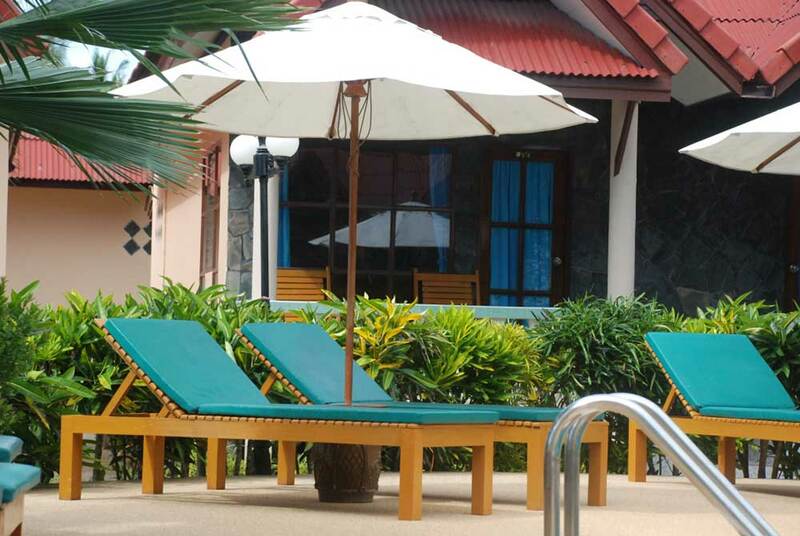 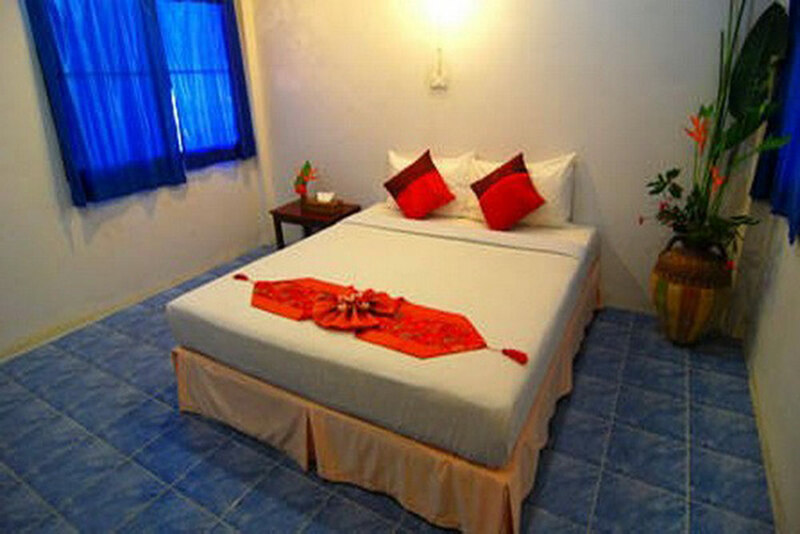 Anti Gravity Divers offer all kinds of diving packages on Koh Lanta, including diving + accommodation. 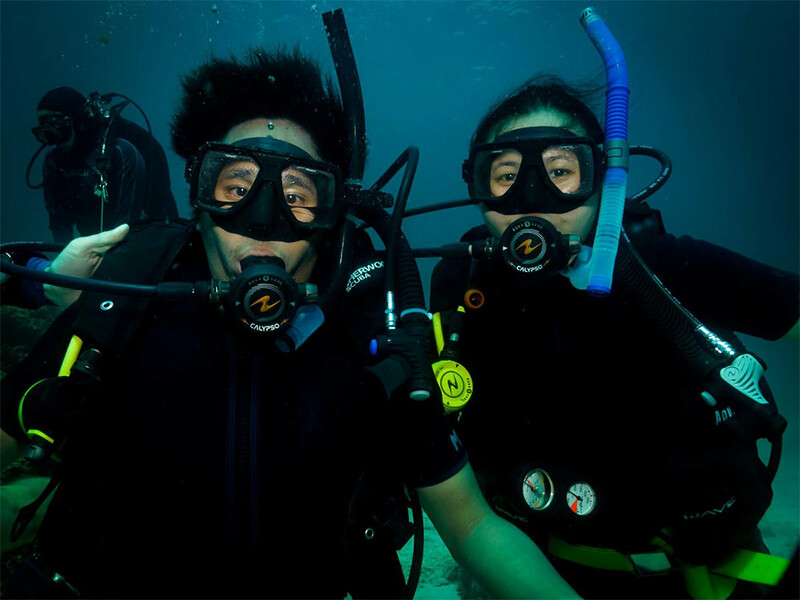 There are a well-established PADI 5 star diving center, with a team of experienced, professional, but friendly dive instructors, divemaster guides, office staff and boat crew. 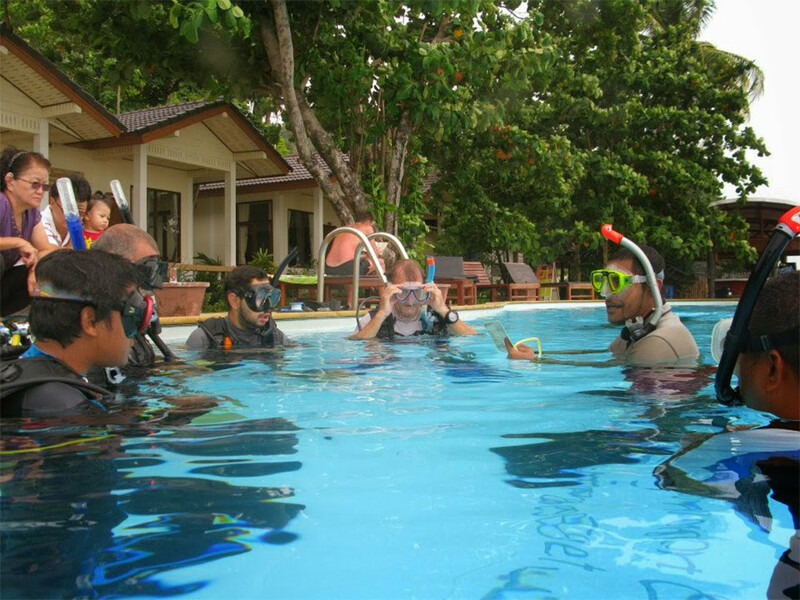 The dive centre is located within Amantra Resort and Spa, but welcomes guests from all over the island, particularly the west coast. 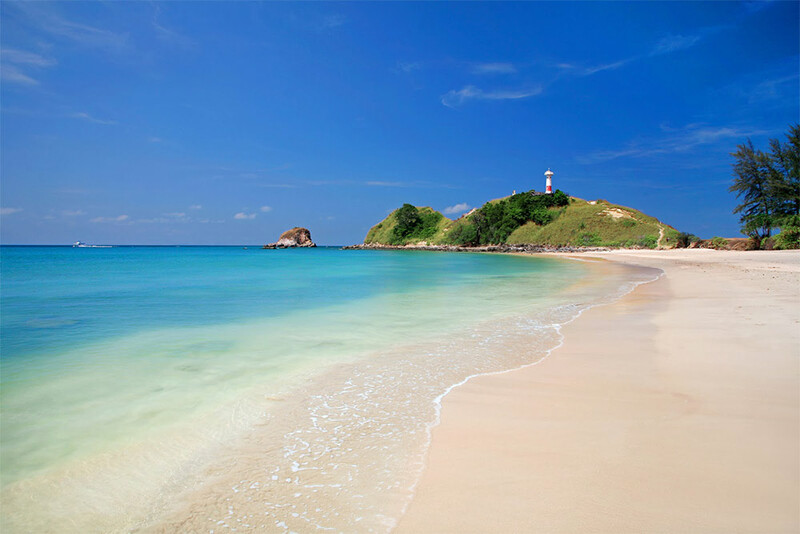 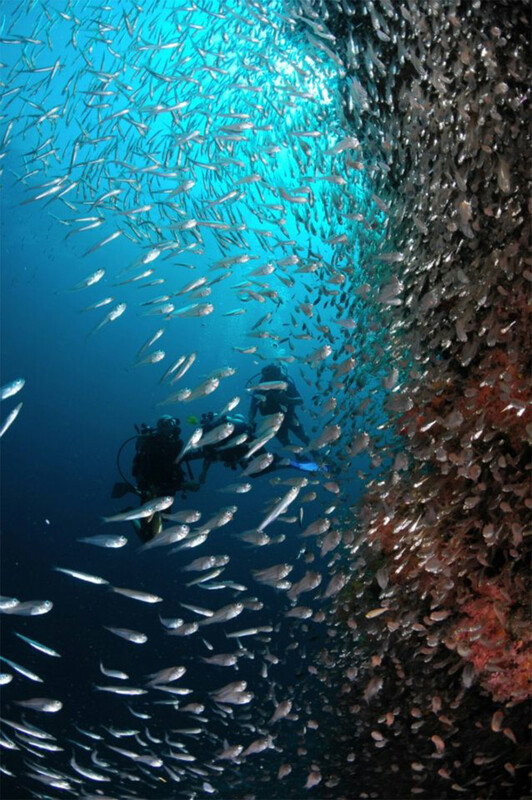 Unlike other diving centers in Koh Lanta, Anti Gravity diving trips sail from Khlong Nin Beach, one of the best and most popular beaches on Koh Lanta. 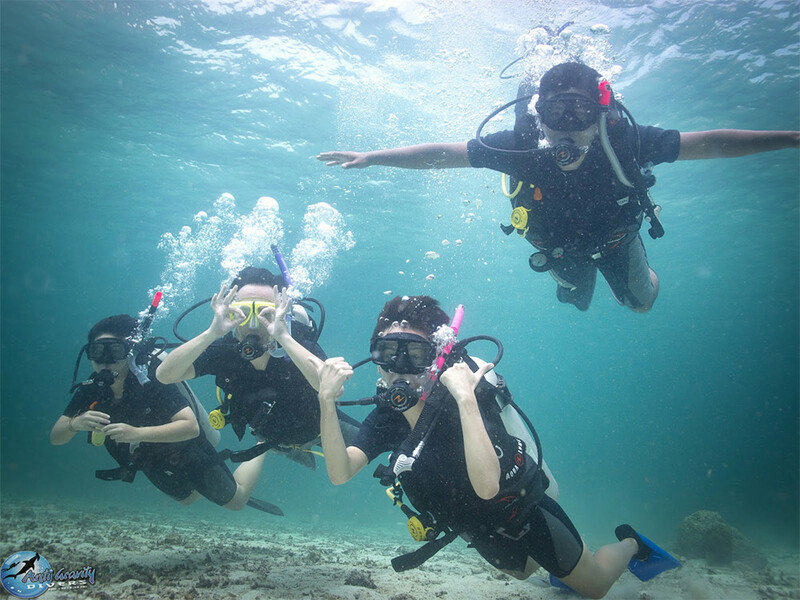 Therefore, divers and snorkellers staying at one of the resorts on this wonderful beach can easily walk to the dive centre, then onto the boat. 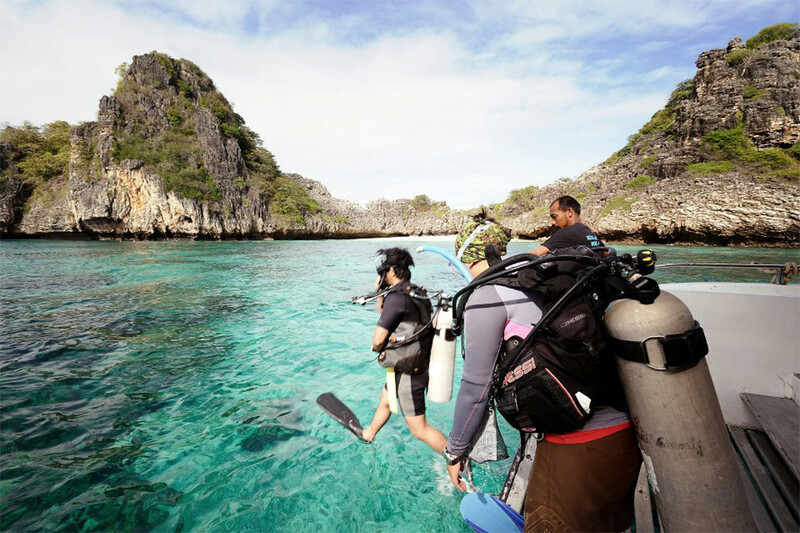 There’s no need to travel by car, van or pickup for those in the vicinity, but Anti Gravity will come to collect (and drop off) guests from other resorts on the island free of charge. 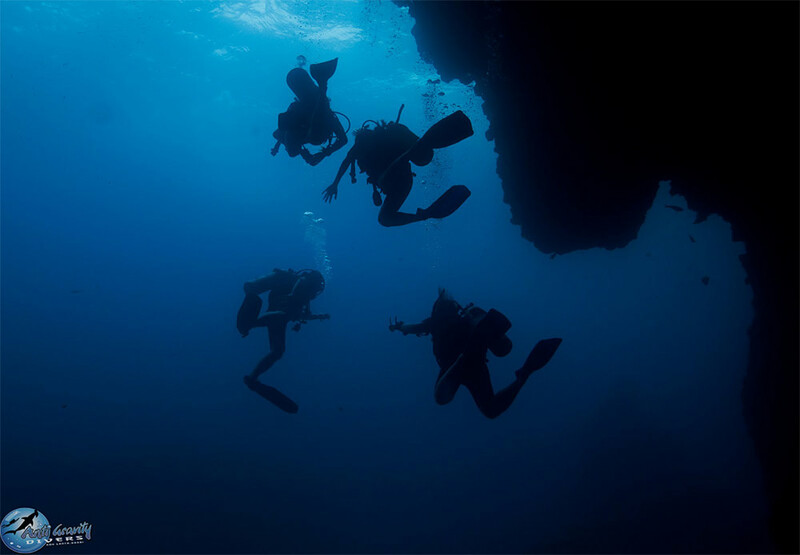 While English is the most commonly-spoken language, the team includes staff from several European countries and many languages are spoken. 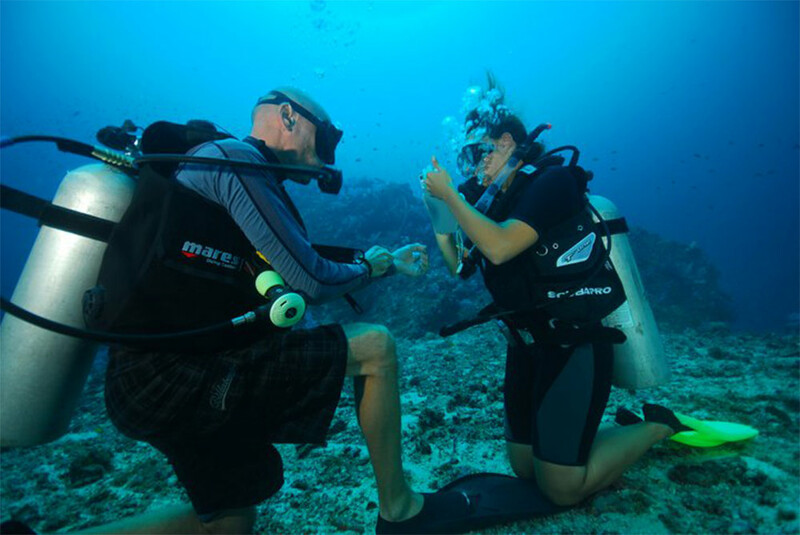 The range of diving certifications is from the level for absolute beginners right up to becoming a PADI Diving Instructor. 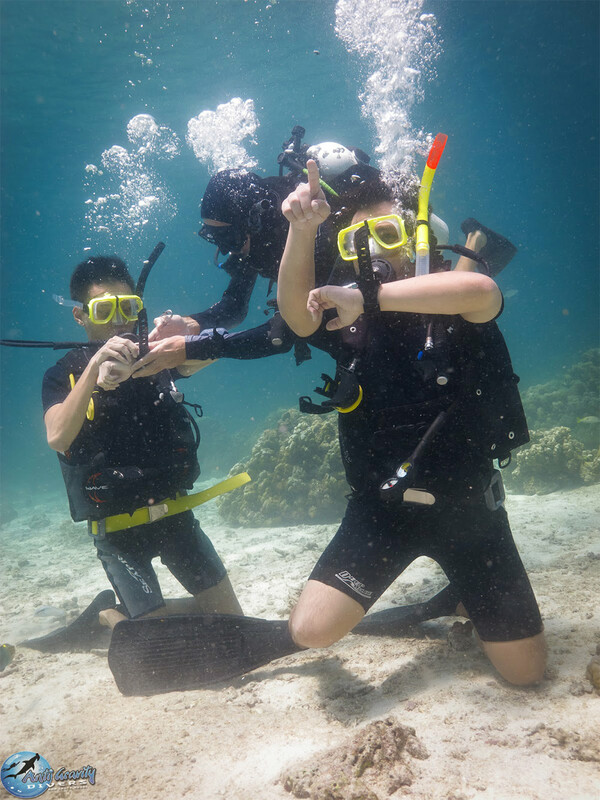 Although Anti Gravity Divers are a dive center specializing in teaching scuba diving for all levels, there are trips those who want to just snorkel. 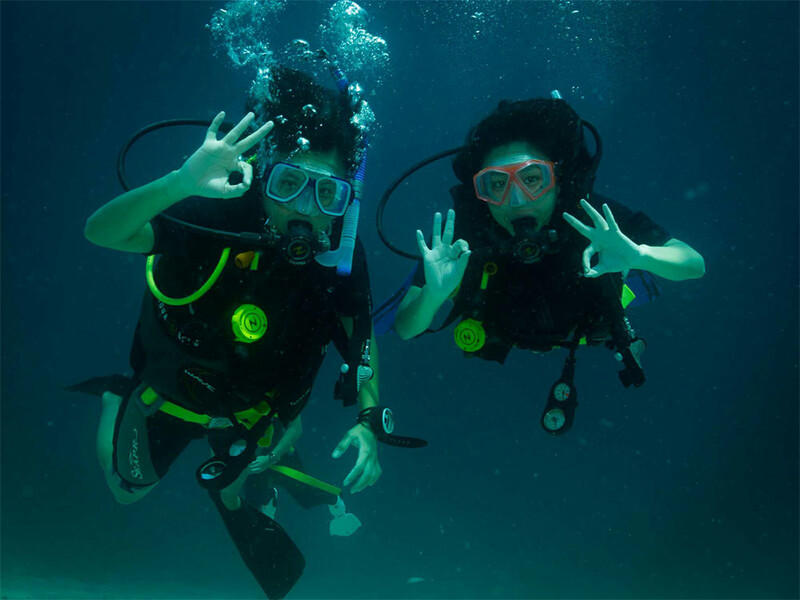 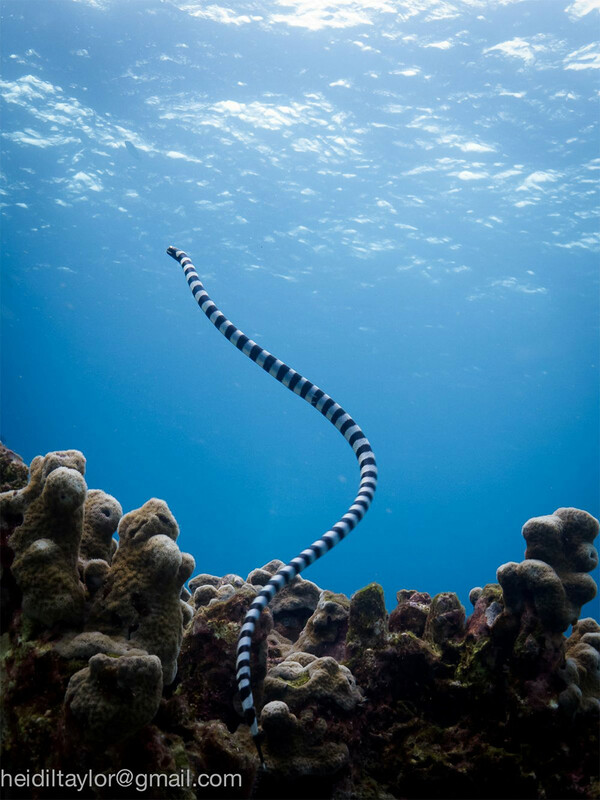 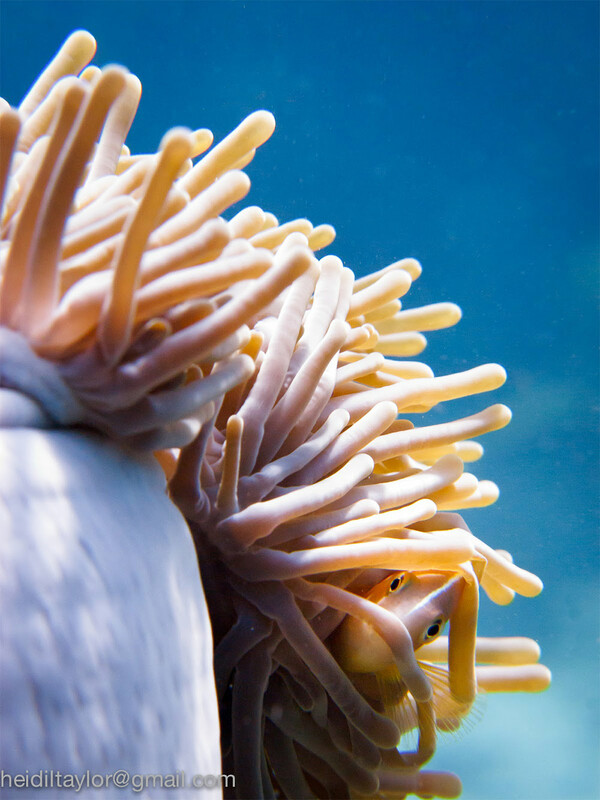 It’s quite common for couples, groups of friends, or families to include some members who want to dive, or learn to dive, as well as those who don’t. 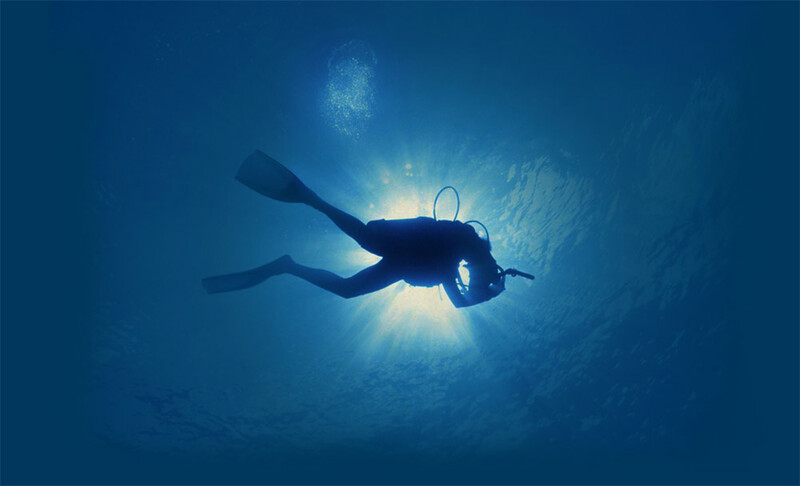 Whatever the combination, Anti Gravity Divers will be able to accommodate and please. 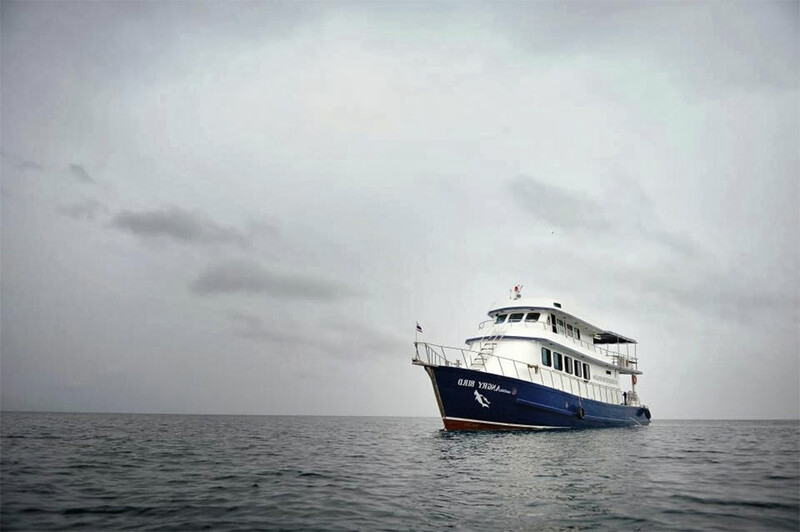 The dive centre itself is well laid out and professionally run, and they use a large, safe and comfortable diving boat. 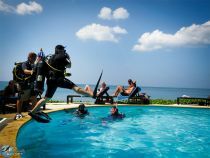 Anti Gravity divers is located at the southern end of Khlong Nin beach, actually within the Amantra Resort and Spa complex. 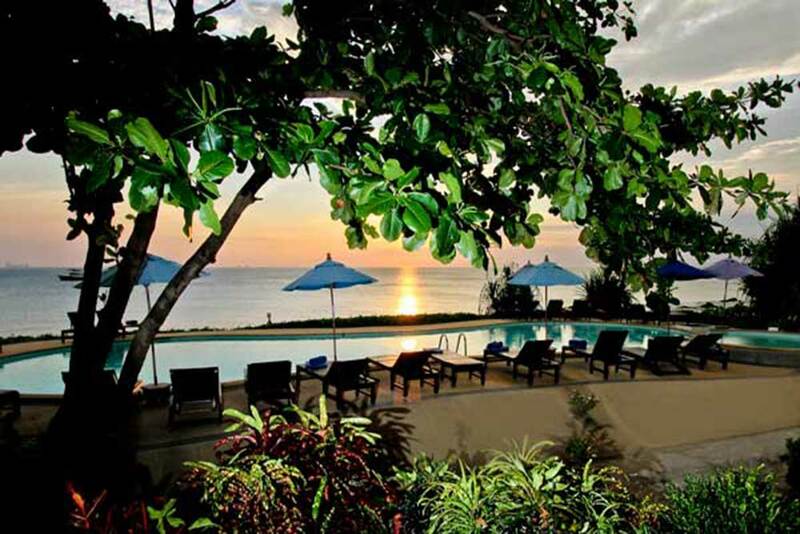 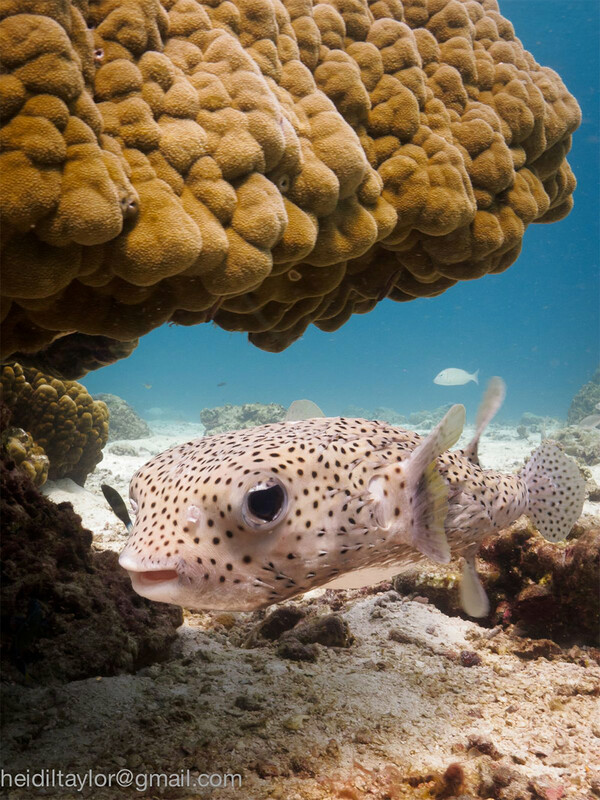 Therefore, most of the best-value diving & accommodation packages see guests staying in one of their wonderful bungalows or rooms, in a package which includes accommodation, diving and transfers. 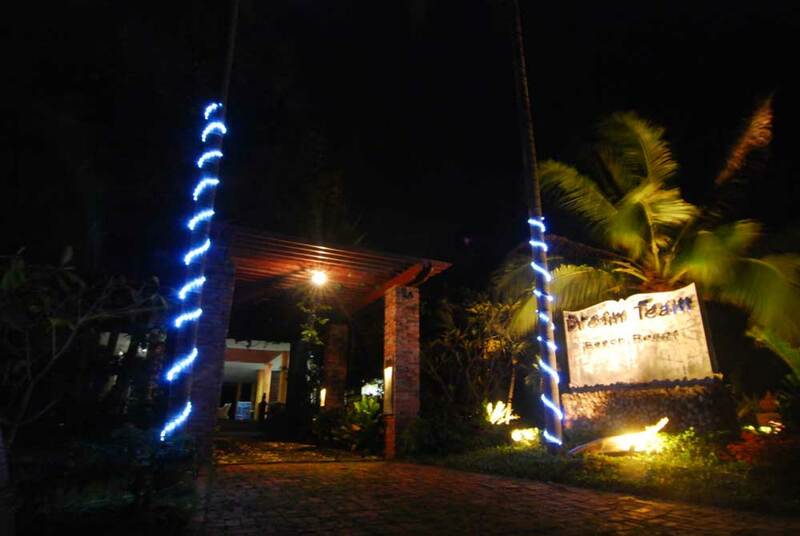 Anti Gravity Divers also work in conjunction with Dream Team Beach Resort, one of the most established small and friendly resorts on the island. 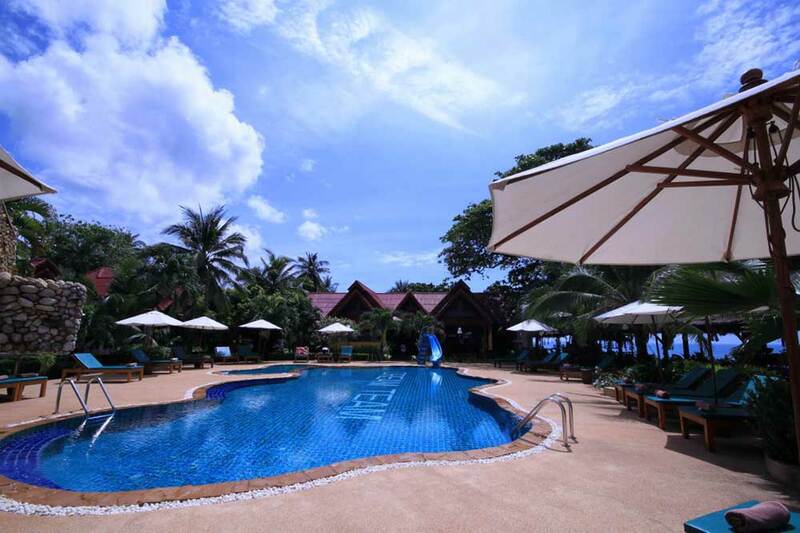 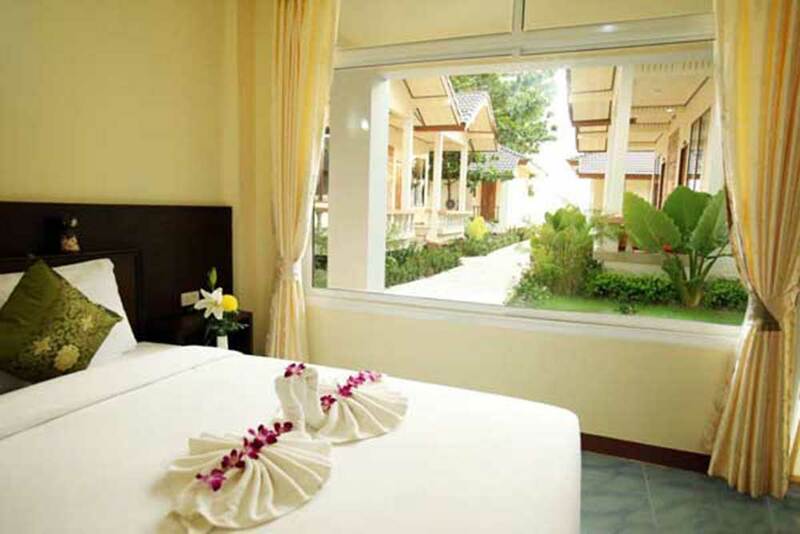 Transfers all the way from Krabi Airport are included in the prices, meaning that guests can stop worrying about the little things and just start looking forward to a diving holiday in paradise. 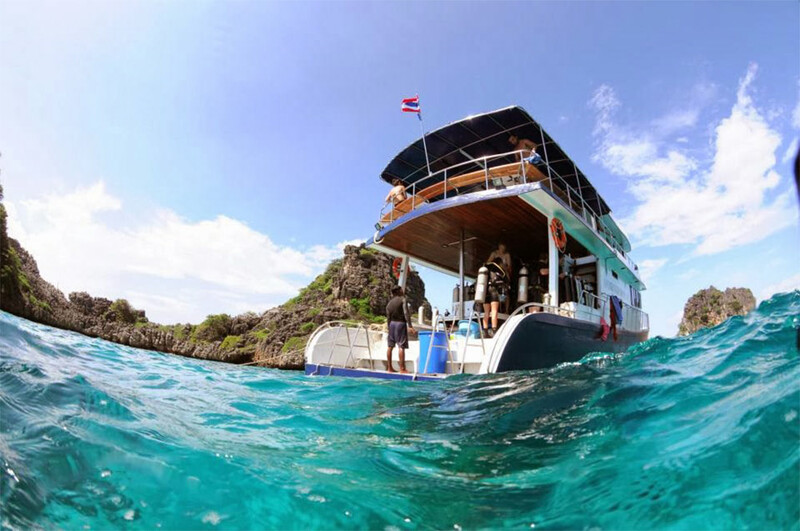 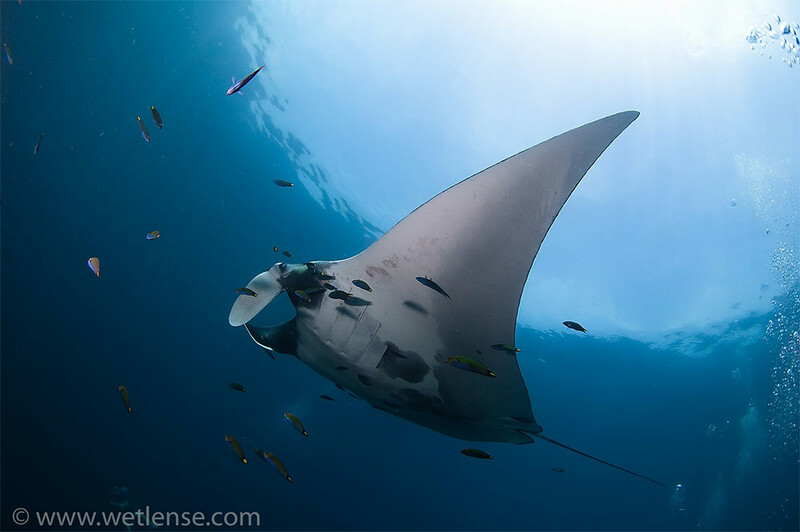 With so many diving and accommodation options to choose from, it can become confusing for those wanting to dive, or learn to dive, on Koh Lanta while enjoying a relaxing vacation on this tropical island. 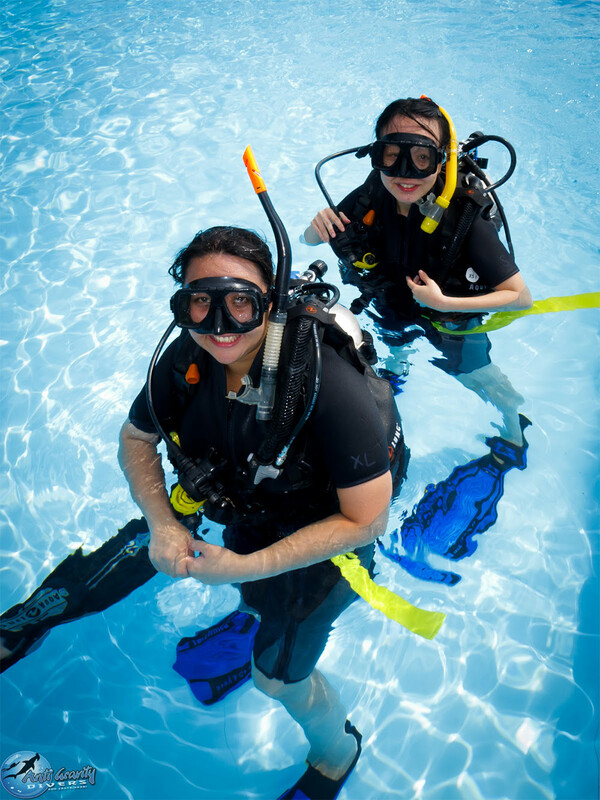 Anti Gravity Divers have lots of variations, and the prices (based on two people sharing) are remarkably good value. 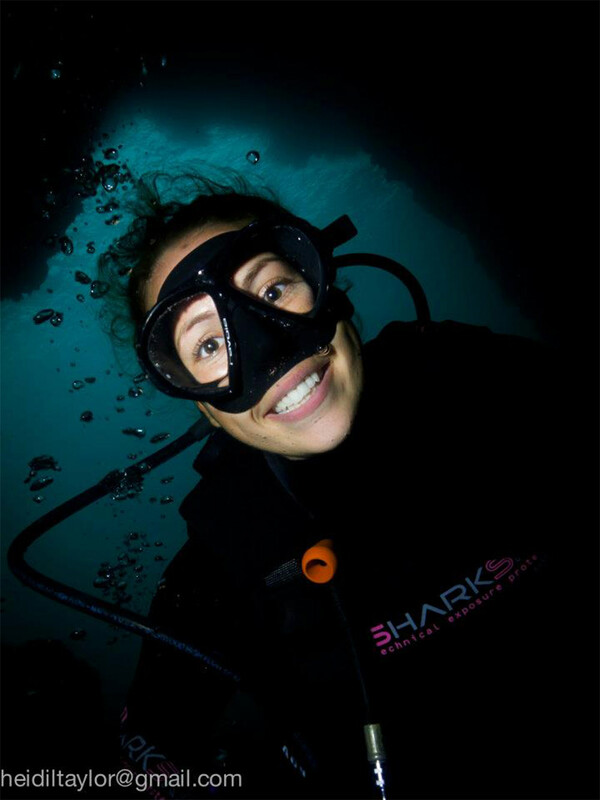 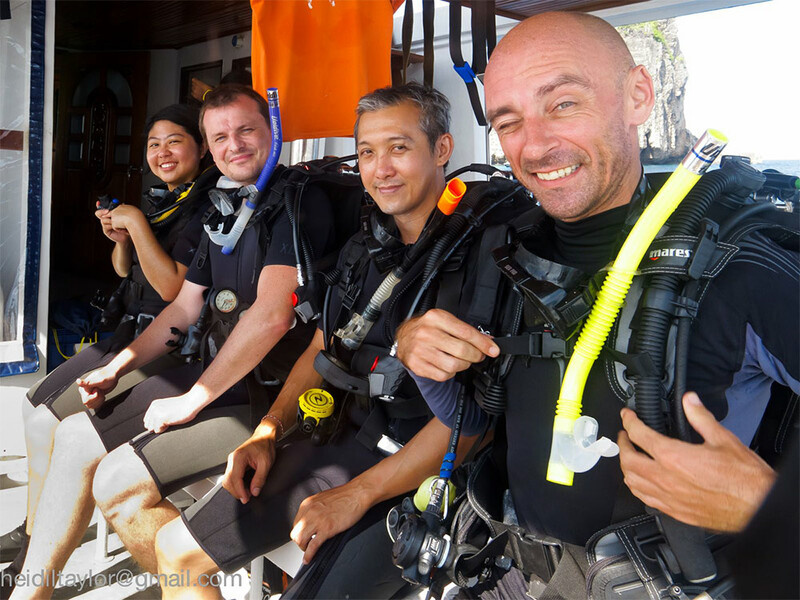 For the courses, the most popular choices are the PADI Open Water Diver + 5 days / 4 nights and PADI Advanced Open Water Diver + 5 days / 4 nights, but there are several variations including a whole range of PADI courses. 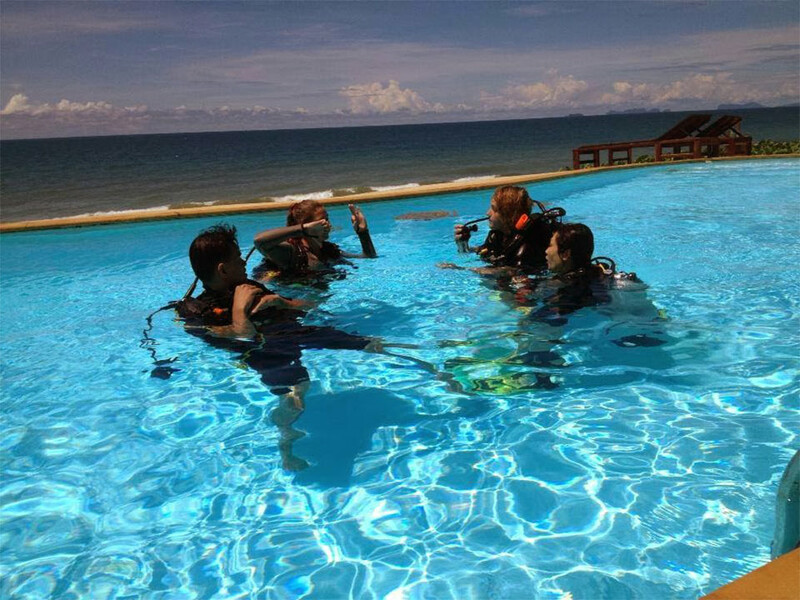 Some guests want to complete the course as quickly as is comfortable, whereas others prefer to take their time a little more and enjoy the vacation. 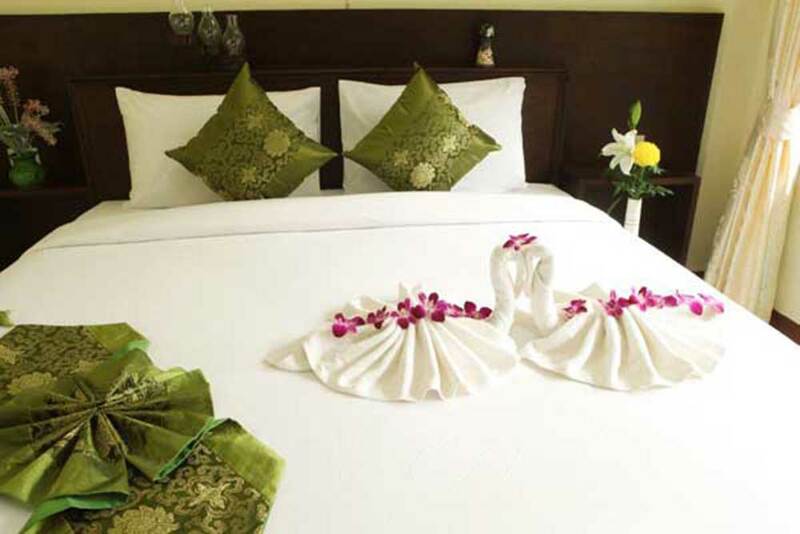 It is quite easy to become confused by the options available, and difficult to choose whether to upgrade one’s room or stay an extra night. 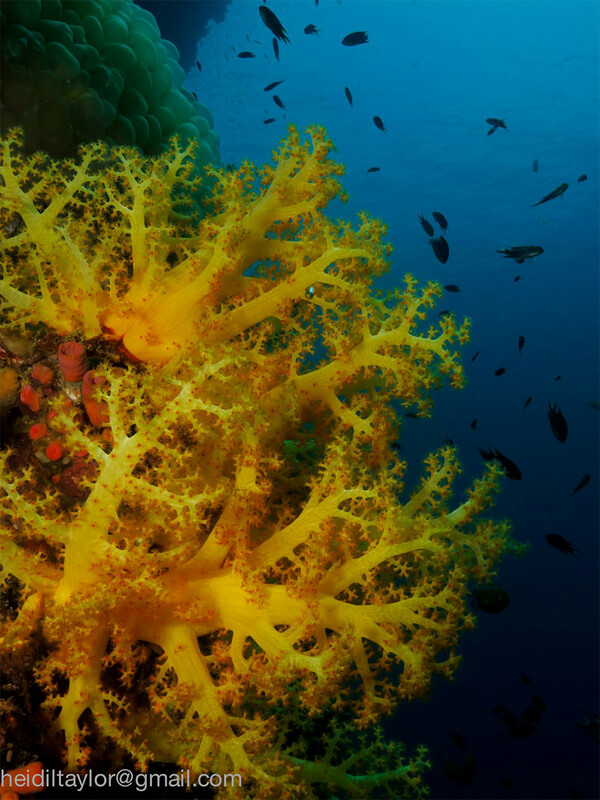 Please don’t hesitate to contact us to ask us for help or advice, or to narrow down the options once we know your budget or requirements. 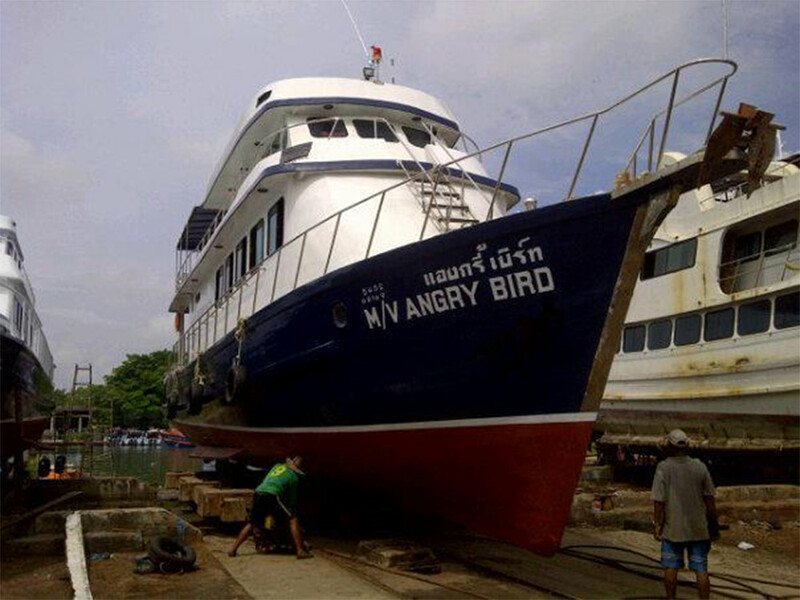 The boat, MV Angry Bird, sails every day of the diving season, most commonly out to the Koh Haa archipelago. 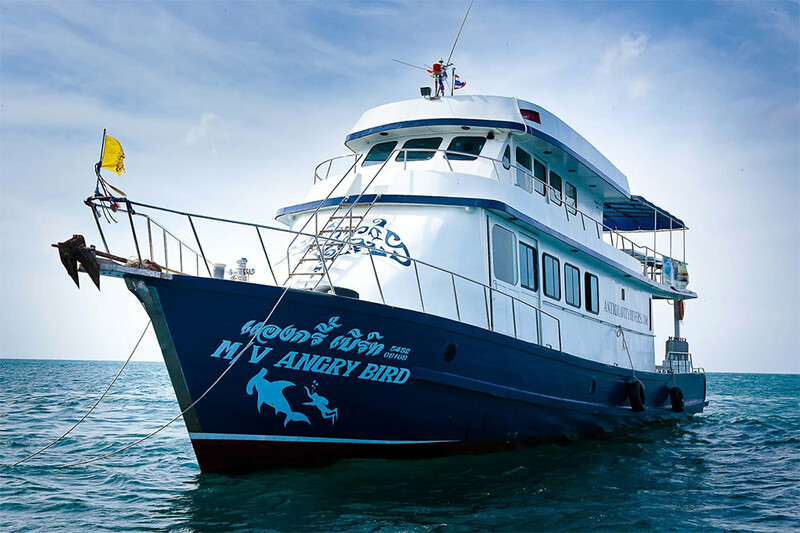 MV Angry Bird has three comfortable decks, each with a specific purpose to ensure pleasurable diving or snorkelling trips for up to thirty guests. 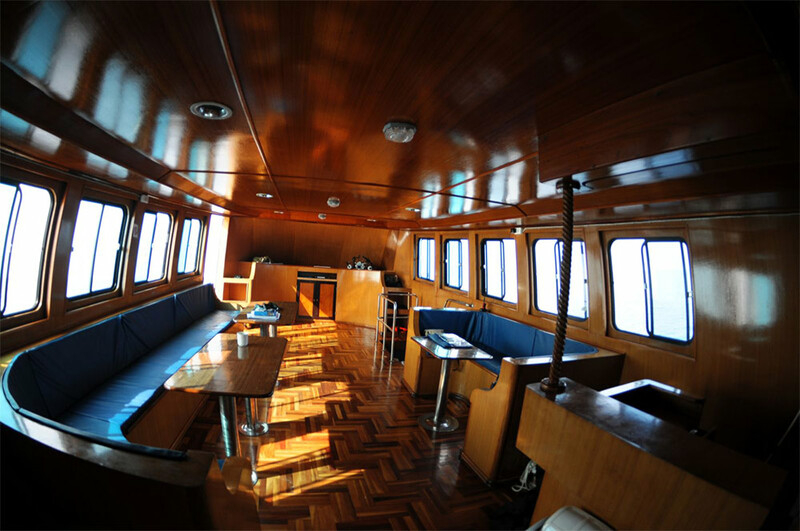 With a sundeck, seating and eating area on the top deck, many guests spend all of their time aboard the boat up here. 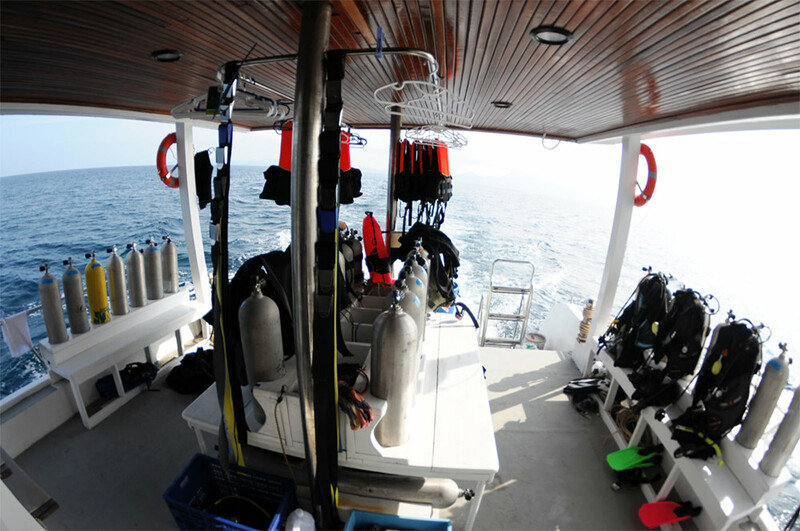 Just below is the diving deck, with safety and cleaning equipment, as well as showers and toilets. 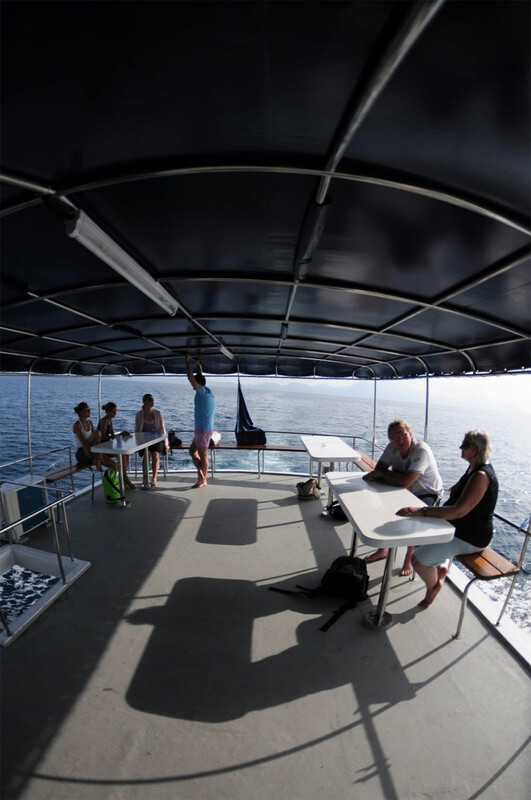 At the front of this main deck is a clean and dry area with plenty of comfortable seating and a perfect place for ‘classroom sessions’ for those taking part in a diving course. 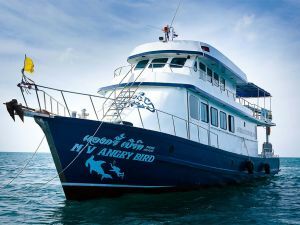 It is also used on the way back to Koh Lanta for showing photographs of the day’s underwater adventures. 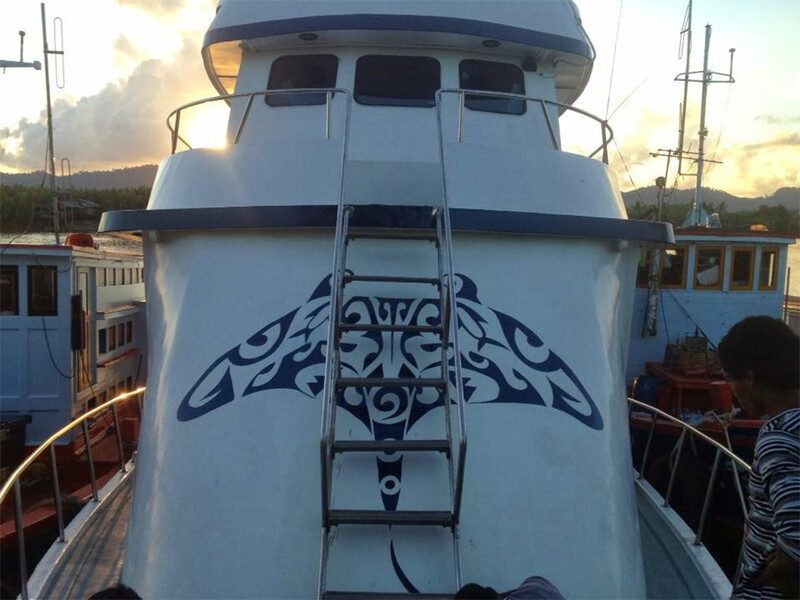 The lower deck is where guests can enjoy air conditioning and audio/visual entertainment. 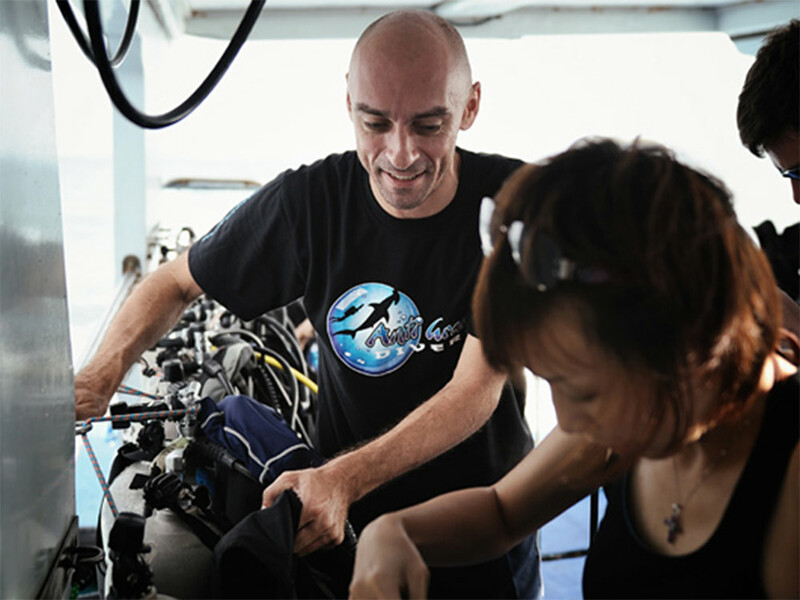 Some diving students watch theory videos while others chill out on the comfortable sofas, or even take a post-diving nap. 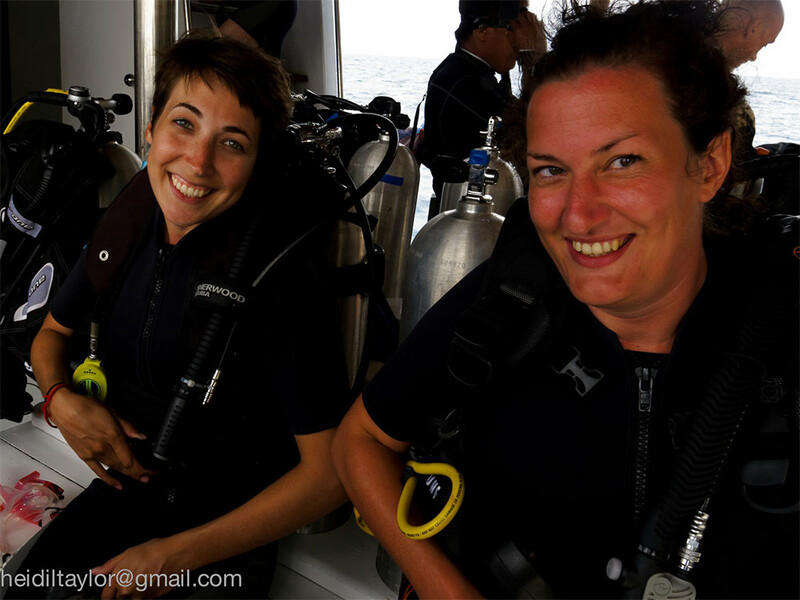 Click on the tabs above this text to view pictures, prices and other information for diving with Anti Gravity Divers. 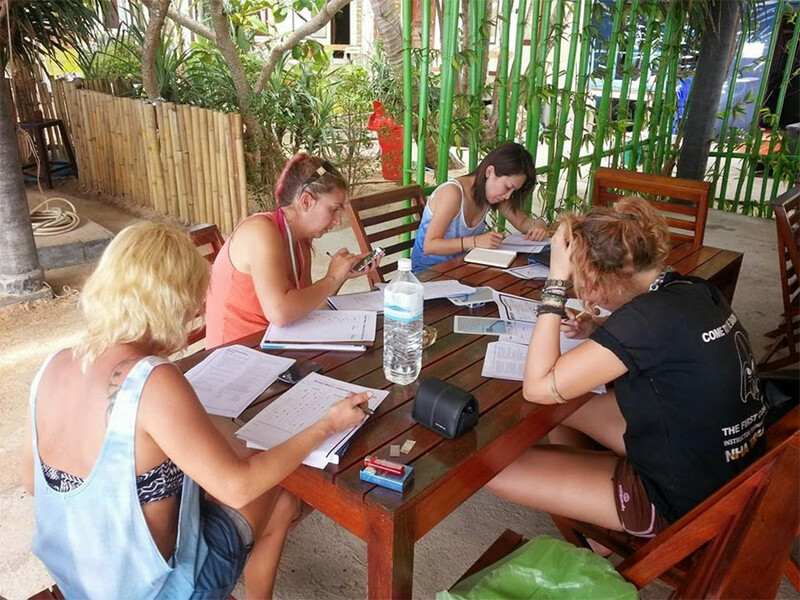 All PADI courses include transfers to/from hotels & resorts, equipment, materials and certification needed to complete each course (except for Divemaster). Meals, snacks, and beverages are also included on each diving day. 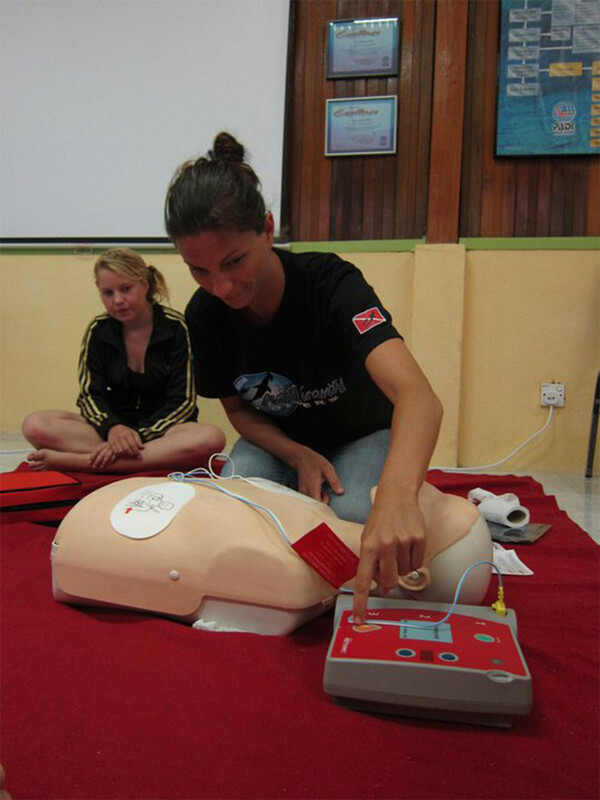 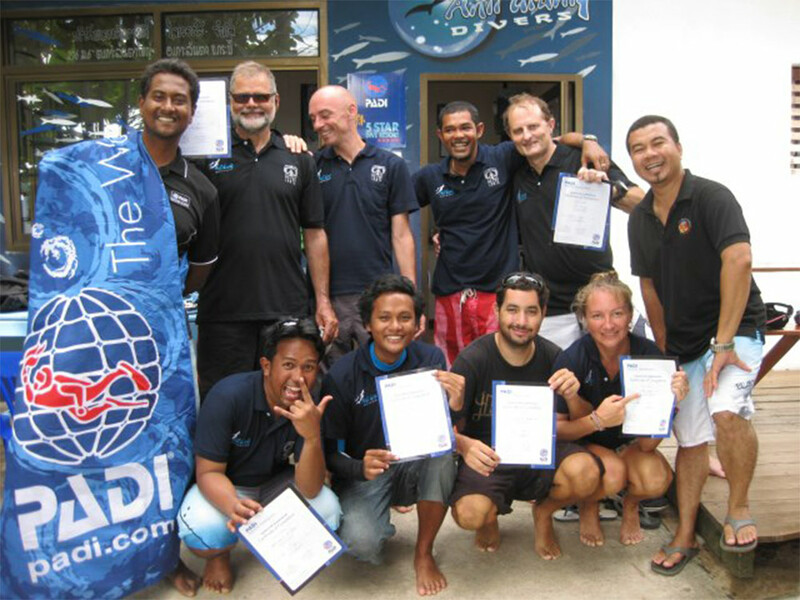 Courses are conducted in groups no larger than four divers per PADI Instructor. 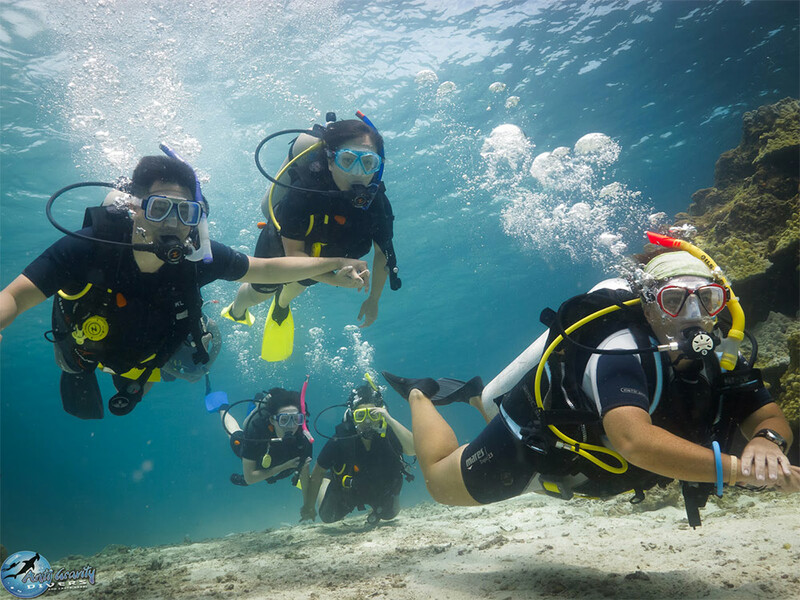 Fuel surcharges and National Marine Park fees are not included in the above prices, except for the PADI Open Water Diver course, which includes the National Marine Perk fees. 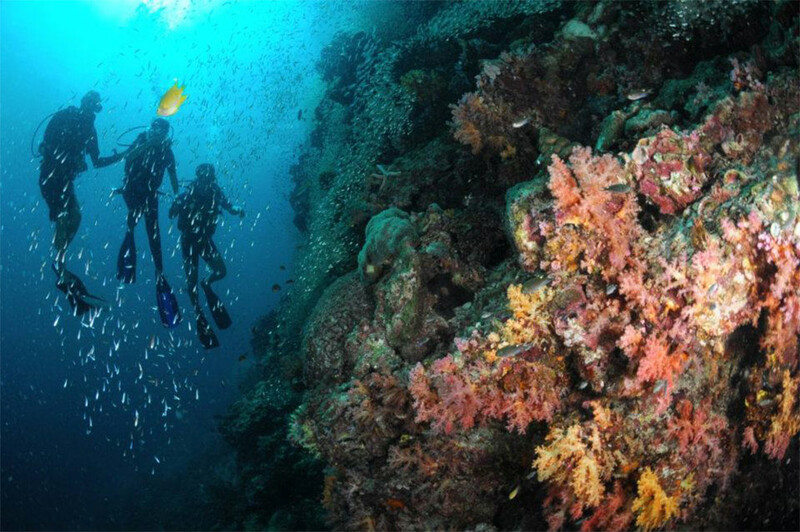 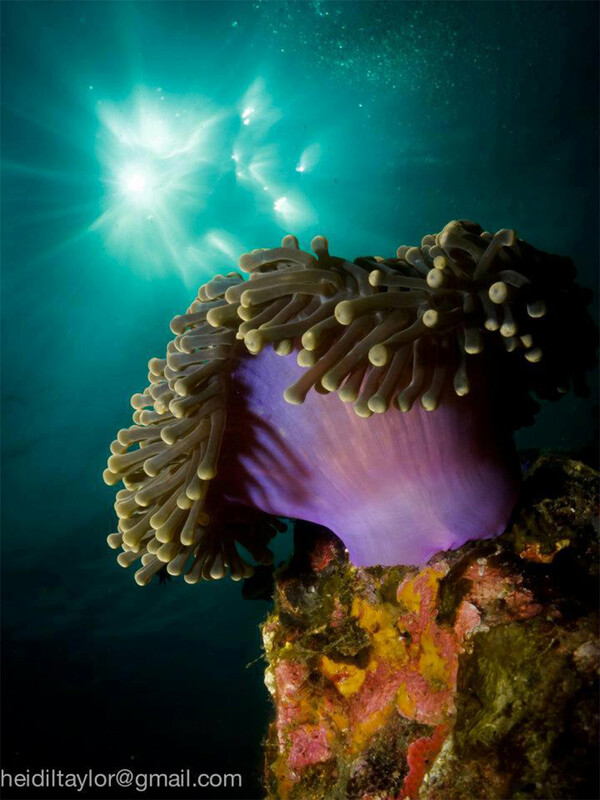 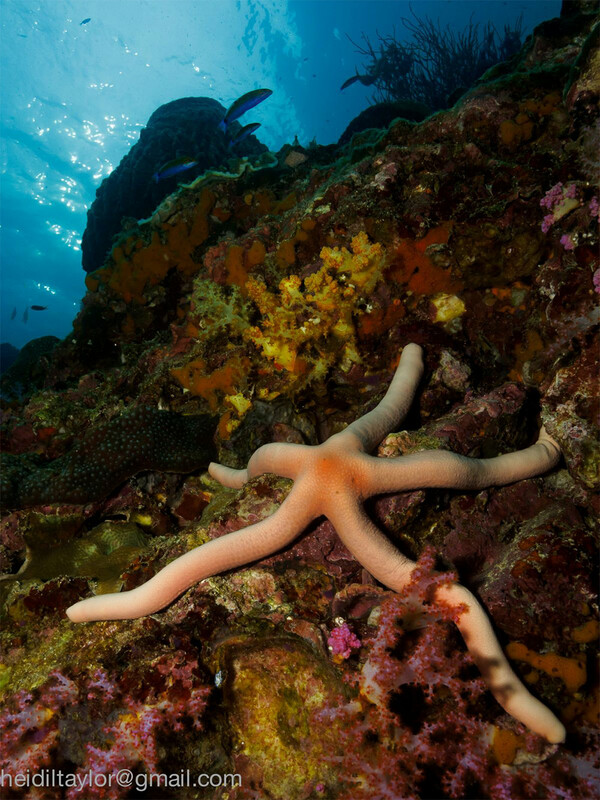 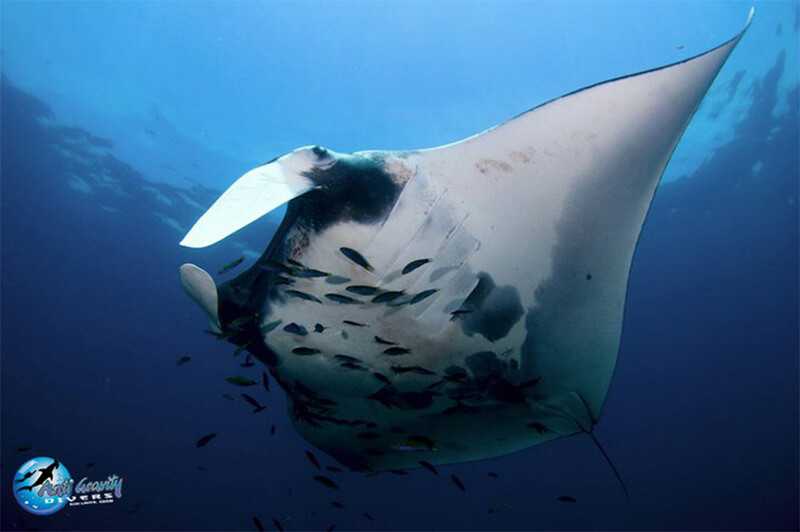 Some of the diving locations are subject to National Marine Park entry & diving fees, payable to local authorities. 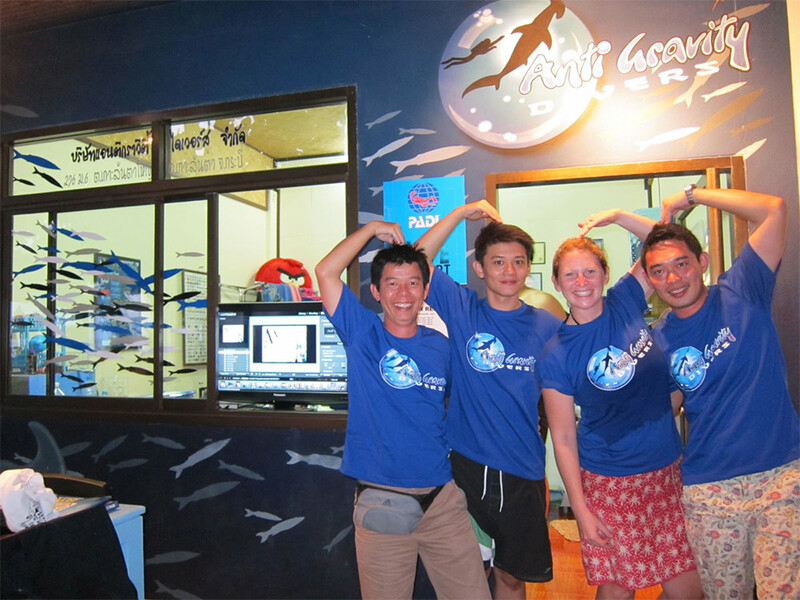 When applicable, this fee is 600 THB / day (400 THB / day for non-divers). 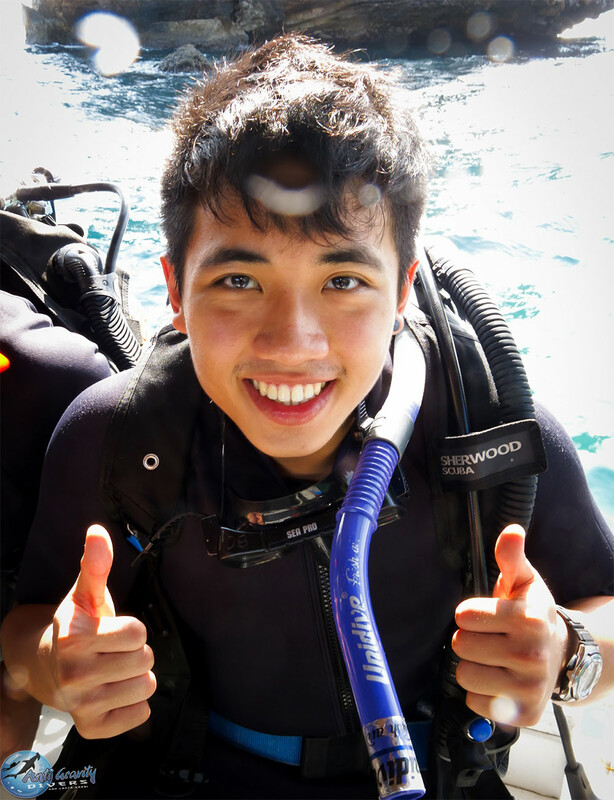 Please note that multi-day diving discounted prices are for our regular diving locations, not Hin Daeng / Hin Muang and Shark Point / King Cruiser / Anemone Reef, which incur 500 THB & 600 THB fuel surcharges respectively.